There are loads and loads of videos uploaded on the internet each day. YouTube and Daily motion are the most popular websites for online video playback. The variety is vast and covers almost everything under the sun. Movies, trailers, pranks, games, tutorials, music videos, etc. are the most viewed types of videos on the websites. The sad part is that these websites do not allow downloads. Earlier there were tons of websites, which did help the user to download the content but the companies have slowly banned them, as it is a form of piracy. This makes it difficult for users to view the content offline. However, the software companies have come to the aid of the users and have launched a bunch of software, which helps users download the videos. Some software also let the users convert the video files into mp3 files. One such platform where you can convert your videos to any format is Movavi. 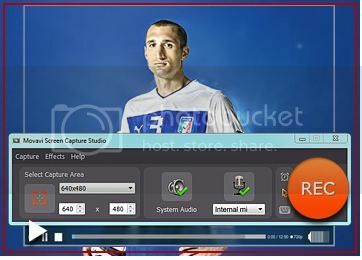 It is the leading video converting software producer and has millions of customers all over the world, and all because of its most effective and user-friendly software applications. The first step to any download is finding a reliable source for downloading the file. The Web has thousands of search engines which can help the user to find the appropriate download link. After locating the file it has to be downloaded onto the hard disk of the computer. However users must be careful before they download the software as it is available for multiple operating systems like Windows, Mac, Linux, Fedora, etc. The install file needs to be clicked after the download is complete to initiate the installation procedure. There are two options Express and Custom. The former is a default setting where all the options are checked. The latter however is a longer route where the user can select and deselect the functions he wants or doesn’t respectively. After installation the software opens to calibrate the video capture settings. The automatic evaluation lets the software decide the best options for best performance. The user may change and experiment with different options to find out the one that suits him/her. After that the video playback can be recorded by selecting the recording area and audio device to be used. The video playback must be synced with the recording to record the whole video perfectly. In the case of an emergency where the user has to leave the computer during the recording session, he/she can set a timer when the recorder is to be stopped. This function will stop the record session after the set amount of elapsed time. After this comes the save dialog box where the user may edit the video if he/she pleases. The format presets are available on the menu bar and other presets may be downloaded additionally. Google is very important to us, because every time that we need to research or to know everything google is here to help what we are need. Based on my experience my nephew asked me about the moon and I did not answer him because they have many questions and very talkative. And then he asked me mama can you pleased search on computer and then I feel that he is an old man hehe. Anyhow, I found this, the different style of hair which is very in demand today, lips, eyes and looks of whole body. And there’s a lot of beauty products you can find in the market place. Like here in our hometown there’s a lot of salon and beauty products sell because this is very in demand. Well, I said that google is essential tool that will help you measure the effectiveness of all your marketing efforts. MY FIRMOO GLASS WHERE ARE YOU? My firmoo glass where are you? Just about two months I am still waiting for you. I don’t know why not comes. I am thankful to my SIL because she received five glasses from firmoo and she gave me one. She received for almost two weeks waiting only. I know all of you are very familiar about firmoo glass. I just wonder because I never received my glass. My sister-in-law said why does not try to go our post office here in Pagbilao, Quezon. Then I thought to go to the post office in Pabilao, Quezon, because there’s no street name in our Subd. but they have a Blk no. and Lot no. and I thought this is the one reason why not my glass received. I also know the firmoo sent me because I will receive the message from email. And off course my first impression was very happy and excited. I try one day to go and ask the post office, and I also know there’s no harm in trying. Guys what do you think? What should I do? Posted on July 18, 2012 Author MelanieCategories BloggingTags glass, My pirmo glass where are you?, pirmo glass10 Comments on MY FIRMOO GLASS WHERE ARE YOU? Rodolfo Vera Quizon Sr. is known by his screen name Dolphy. According to the Abs-Cbn news patrol update, he passed away Tuesday at 8:40 p.m. in Makati Medical Center; therefore come to an end one of the longest and most colorful lives and careers in Philippine show business history. Dolphy born on July 25, 1928 at Tondo Manila, he was 83 years old turn 84 this coming July 25. This was confirmed by his wife Zsa zsa Padilla and close family member. The King of Comedy died of chronic obstructive pulmonary disease and also suffered her kidney dialysis treatment. In the past days, many news spread that he was dead, and the King of Comedy Dolphy make a joke that do not hurry and I do also come. This is based on his interview. But now his confirmed that his dead, but others do no believe that Dolphy’s dead. In an earlier report Dolphy was suffering from chronic obstructive pulmonary disease (COPD), a condition which restrictions the amount of air that enters the lungs. Blogging is very familiar to me, I am excited to have a blog though but I don’t have enough knowledge on how blogging works. I heard there is money in blogging so I am giving it a try. My SIL who owns living the beauty of life inspires me to make my own. Anyway; my first blog will share about everything. I will continue to write everything like my day to day activities including foods, places, me as a wife and alike. I really enjoyable to make my own blog and to visit other blogs. I’m beginning to love the world of blogging unlike before I have no time, idea, and I’m not interested. My SIL is the one who always teaching me on how to join the contest and give me more ideas on how to promote and get traffic. Anyway, I will continue to join any contests. I once won in a contest online. I remember, I opened my email account I am greatly honored and joyful to get an opportunity to win $160, thanks for the blessing. This contest gave me an inspiration to search for more online contest. At the same time works and continue to my blogging career :-). Thanks for my SIL because that time I don’t know what to do, and I need to have a sideline income. For now I really enjoy blogging and I will continue my blogging career as long as I am happy. Goodbye year of the rabbit and welcome year of the dragon. According to the Chinese Zodiac, the Year of 2012 is the Year of the Dragon, which begins on January 23, 2012 and ends on February 9, 2013. The Dragon is the fifth sign of the Chinese Zodiac, which consists of 12 Animal signs. The Dragon is a creature of myth and legend. In ancient China, the celestial Dragon represents an emperor and power. Today, it is the ultimate auspicious symbol signifying success and happiness. May the celestial Dragon bring great good luck to everyone. The Dragon is the symbol of power and wealth. According to the astrologer, year 2012 is a water dragon. The Dragon symbol of the year 2012 is an intelligent and laborious worker who never puts aside work though sometimes this leads him to excesses. The water Dragon has enough courage to face challenges and easily finds weak points that stand on his way to success. So, people born in the Year of the Dragon prefer enjoying outdoor activities rather than staying at home. And the most in demand business is relevant about the water. Year of the rabbit 2011 has full of natural disasters and calamities around the world. Hoping that this year 2012 has no calamities and disaster like the year of the rabbit. Many people died and affected the natural disaster and calamities. Welcome to my first blog. I am excited to have a blog though I don’t have enough knowledge on how blogging work. I heard that there is a money in blogging so I am giving it a try. My SIL who owns Living the beauty of life (just one of here 5 blogs) inspire me to make my own Anyway, my first blog will share about everything. Like my day to day activities including foods, places, me as a wife and alike. I hope you will find interesting to read. Thank you so much and hope you will support my blog.